Saturday, Feb. 11, 1:00 p.m. The Rangers will face-off against the Philadelphia Flyers today at Wells Fargo Center (1:00 p.m.; TV: MSG Network; Radio: 1050 ESPN Radio), to begin a back-to-back weekend set. The Blueshirts currently sit atop the Eastern Conference standings, and rank second in the league overall, with a record of 34-13-5 (73 pts). The Rangers enter the contest having defeated the Tampa Bay Lightning, 4-3, in overtime on Thursday at Madison Square Garden for their fifth win in seven games, and are now 17-5-1 in their last 23 contests. New York has posted a record of 31-10-3 since Oct. 29, after beginning the season with a 3-3-2 mark. The Flyers enter the contest with a 31-16-7 (69 pts) record to rank fourth in the Eastern Conference, and have lost three of their last four games. 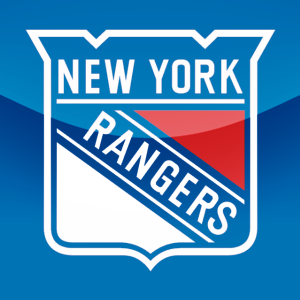 Following today’s contest, the Rangers will face-off against the Washington Capitals tomorrow, Feb. 12, at Madison Square Garden (12:30 p.m.), to close out their back-to-back set. Monday, Jan. 2, 3:00 p.m. 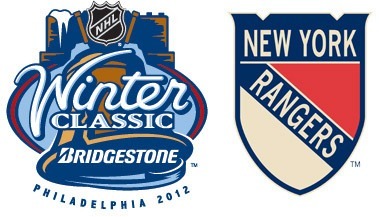 The Rangers will face-off against the Philadelphia Flyers tomorrow in the 2012 Bridgestone NHL Winter Classic at Citizens Bank Park in Philadelphia (3:00 p.m.; TV: NBC; Radio: 1050 ESPN Radio). The Blueshirts currently sit atop the Eastern Conference standings, and rank second in the league overall, with a record of 23-9-4 (50 pts.). The Rangers enter the contest having defeated the Florida Panthers, 4-1, on Friday at BankAtlantic Center, and have won six of their last seven games. New York has posted a record of 20-6-2 since Oct. 29, after beginning the season with a 3-3-2 mark. The Flyers enter the contest with a 22-10-4 (48 pts.) record to rank fourth in the Eastern Conference, and have lost four of their last six games (2-3-1). This will be the second meeting in 10 days between the Atlantic Division rivals, with New York having defeated Philadelphia, 4-2, on Dec. 23 at MSG to take a 2-0-0 series lead. Following tomorrow’s contest, the Rangers will face-off against the Florida Panthers on Thursday, Jan. 5, at Madison Square Garden (7:00 p.m.), to begin a back-to-back set. WILL THE RANGERS DO TO THE STARS WHAT THE GIANTS DID TO THE COWBOYS? Posted on December 12, 2011 | Comments Off on WILL THE RANGERS DO TO THE STARS WHAT THE GIANTS DID TO THE COWBOYS? Tuesday, Dec. 13, 7:00 p.m. The Rangers will face-off against the Dallas Stars tomorrow at Madison Square Garden (7:00 p.m.), in their fourth game in six days. The Blueshirts currently rank second in the Atlantic Division standings, and fourth in the Eastern Conference, with a record of 17-6-4 (38 pts). The Rangers enter the contest having defeated the Florida Panthers, 6-1, on Sunday at Madison Square Garden, to sweep their weekend back-to-back set. New York has now recorded at least one point in 16 of their last 19 contests (14-3-2). The Stars enter the contest with a 16-11-1 (33 pts) record to rank third in the Western Conference, and have lost two of their last three games. Following tomorrow’s contest, the Rangers will face-off against the St. Louis Blues on Thursday, Dec. 15, at Scottrade Center (8:00 p.m.), to begin a three-game road trip. Comments Off on WILL THE RANGERS DO TO THE STARS WHAT THE GIANTS DID TO THE COWBOYS? Saturday, Dec. 10, 7:00 p.m. The Rangers will face-off against the Buffalo Sabres tomorrow at First Niagara Center (7:00 p.m.), to begin a back-to-back set. The Blueshirts currently rank third in the Atlantic Division standings, and fifth in the Eastern Conference, with a record of 15-6-4 (34 pts). The Rangers enter the contest having been defeated by the Tampa Bay Lightning, 3-2, in the shootout on Thursday at Madison Square Garden, and have now recorded at least one point in 13 of their last 16 contests (12-3-1). The Sabres have a 14-11-2 (30 pts) record to rank seventh in the Eastern Conference entering their contest tonight vs. Florida, and have lost six of their last seven home games (1-4-2). Following tomorrow’s contest, the Rangers will face-off against the Florida Panthers on Sunday, Dec. 11, at Madison Square Garden (7:30 p.m.), to conclude their back-to-back set.